Our Wildlife Experts at Hayman Wildlife Management are specially trained to handle Bat Guano Cleanup and repairs associated with Bat damage. Bat droppings (guano) can be highly toxic and when cleaning them up, it is important to always wear the right protection. The best way to prevent health risks associated with Bat guano is to avoid siuations where the droppings and items contaminated by the droppings can be inhaled. One of the key protection items is a face mask that will shield you from airborne particles that can potentially make you and your family very sick. One of the major health risks with Bat Guano is Histoplasmosis. Histoplasmosis is a fungal disease that affects the lungs when you breathe. Symptoms include fever, chest pain, dry cough, headaches, encephalopathy, and in rare cases death. Bat bugs are becoming a huge issue with homeowners and are commonly associated with Bats. These Bat bugs can be found on bats and the more bats that a colony has, the more bat bugs are in your house. These parasites will typically feed on the blood of bats but there have been occasions where the bat bugs will feed on human blood and use the human as a host. Hayman Wildlife Management receives bat bug calls primarily in the spring, summer, and fall times of the year. Hayman Wildlife Management are equipped with special high powered vacuums that are able to handle bat droppings. Never use a regular vacuum to handle Bat dropping cleanup. The use of a special high powered vacuum is highly beneficial as it eliminates the amount of dust exposure that can happen when bags tear accidentally or containers break during transfer to the ground. It is highly recommended that only authorized personnel should be present during the Bat guano cleanup process. 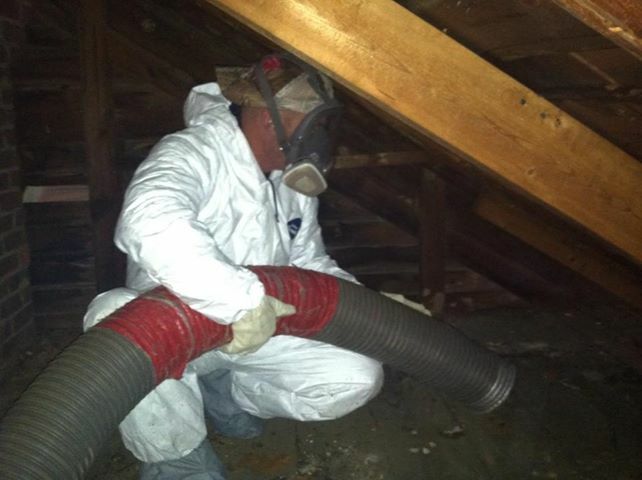 Before you hire anyone to remove Bat guano from the attic portion of your home, you should always verify that the company has all the right equipment for the job, the correct license to perform the work, and the acceptable amount of insurance in case something happens on the job. Hayman Wildlife Management has all three of these and is ready to take on any bat removal job, big or small!